Garden Lighting London provides a truly bespoke garden lighting service, including design & installation for London, Essex, Kent, Hertfordshire, Surrey and the surrounding areas. With over 17 years’ experience of garden lighting design and installation, we are a leader in the field. Whether your garden is established or still a work in progress, our technical expertise and creative flair will help you transform it into a beautiful outdoor space to be enjoyed all year round. 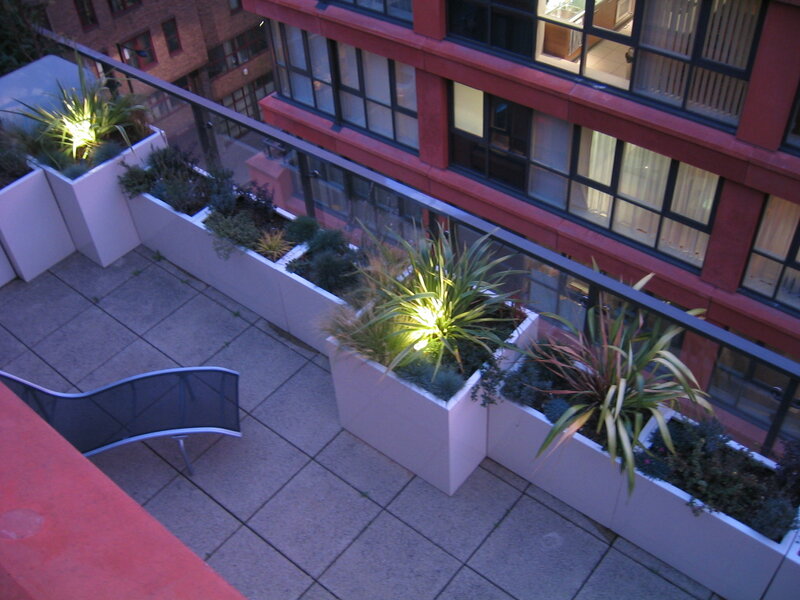 We work across London and the Home Counties and can light all types of gardens, from compact roof terraces to large estates. We also offer complete refurbishment of existing lighting systems, even those that need extensive repairs. So don’t delay – contact us today for a no obligation site visit with one of our friendly lighting designers. You’re just one step away from your new room outside. Just a quick email to thank you for the fantastic service you gave us. After having several reputable companies attempt to fix our extensive lighting scheme which we had put in 2013 you fixed it the first time. That was four years ago and it’s still running problem free as you said it would. Thank you for your professional and reliable service. We are delighted with our new lighting scheme and the result is far beyond our initial expectations. Fantastic. Thank you SO much! The lighting is perfect. Your expertise and judgement about how many lights are needed and where is bang-on. And lighting the neighbour’s tree and the one in the park was bold, inspired and really works. ‘Borrowed landscape’ as the Japanese say. I wanted to write to say thank you for such great service you and your team have given us this year. Having had our original garden lights first installed in 2008 I was so pleased that in 2016 you were happy to come back to service it all. The installation was trouble free during the entire period except for the odd Lamp change, which to be honest after having had previous garden lights constantly tripping was a pleasant surprise. Phil and Connor were such great installers to have working around our grounds. They were professional, hard working and friendly at all times. The results were fantastic. I really cannot believe how much of a difference the lights have made to our new garden, It’s transformed by the push of a button. Thank you once again. We offer a complete professional bespoke outdoor lighting service from conception to completion. We cover all of London and the home counties of Essex, Hertfordshire, Kent and Surrey. Our service can be applied to all gardens from the small urban roof garden to large country estates. Our dedicated team of professional designers and installers will transform your outdoor space into something very special and personal to your taste. Lighting schemes by designers who truly understand how lights work. Installation by dedicated experienced professionals. Full electrical compliance with Part P.
Supply and fit of some of the leading brands of outdoor lighting from around the world. After sales service and maintenance. State of the art remote control and switching systems. Electrical supply for outdoor requirements such as Hot tubs, swimming pools, summer houses and outdoor heating. Transform your garden with the flick of a switch. The most important step in lighting your garden is getting the right design. We highly recommend that you contact us and take advantage of our no obligation design consultation where we can discuss all your requirements. In the past five years we have worked all over London and the home counties Including: Archway, Beaconsfield, Belsize park, Chelsea, Chigwell, Chobham, Dorking, Epsom, Epping, Great Kingsdown, Green Park, Hampsted, Islington, Kensington, Maidestone, Marlow, Mayfair, Maida Vale, Primrose Hill, Pimlico, Rickmansworth, Theydon Bois, Virgina Water and Watford. Plus various overseas schemes in France, Spain and Dubai. Feel free to fill out the form and our team will be in touch with you promptly. Thank you for your interest!